Are you looking for a special school for a child with either a physical or learning disability? 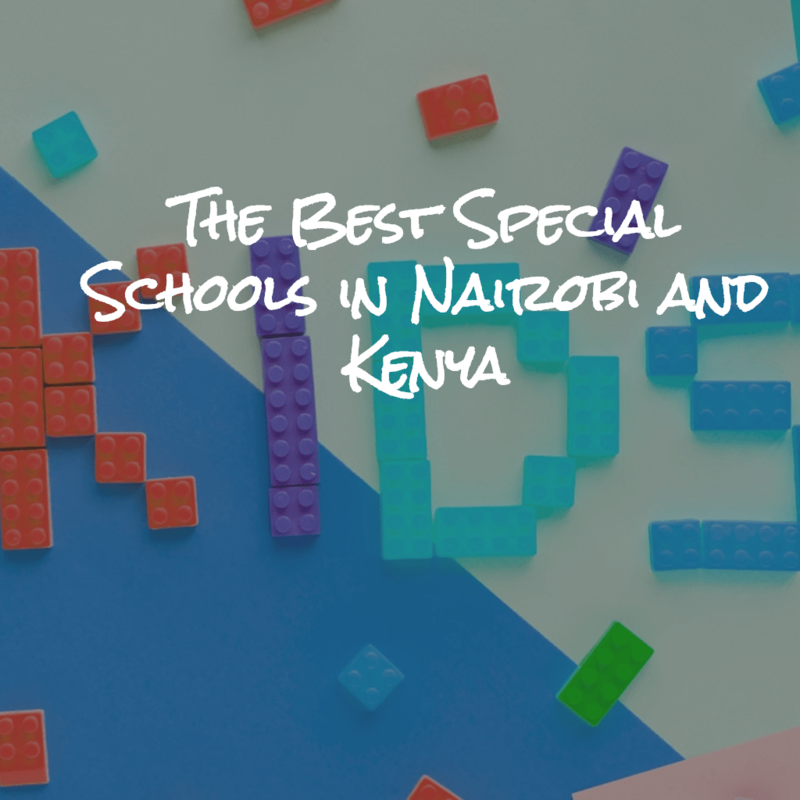 Check out this list of the best special schools in Nairobi and Kenya! St Gerald’s Centre is located in Tigoni, Limuru, in Kiambu County, and is a day and boarding center that offers interventions for children with the Autism Spectrum Disorder. This institution admits children between the ages of 3 and 16, offering multidisciplinary education programs that are tailored to meet each child’s individual needs. The founder of St Gerald’s, Angela Githieki, believes that dietary intervention is a key component in the management of autism. KCCL is a non-profit making community school located in Nairobi County, behind Thika Road Mall. This institution accepts students with diverse learning challenges aged between 6 and 21 years of age from all cultural, socio-economic and religious backgrounds. KCCL aims to be a model centre for learning and empowerment for persons with special needs by providing an environment that allows for exploration and development of academic and personal potential. Nile Road Special School is another of the best special schools in Nairobi and Kenya. This special school provides treatment for children with physical and mental disorders, with the aim of enabling them to function independently and enjoy a reasonable quality of life. The interventions used at this school include occupational therapy, speech and language therapy, Applied Behavior Analysis (ABA), etc. Nile Road Special School is located on Nile Road off Jogoo Road in Eastlands, Nairobi County. PCEA Kambui School for the Deaf is a mixed boarding primary school located in Ngewa Location, Githunguri, Kiambu County. This public school was initially started by the Presbyterian Church of East Africa (PCEA) in 1963 to help physically disabled children in the society. Pupils at this school go through the 8-4-4 education system. This institution, one of the best special schools in Nairobi and Kenya, was started in 1965 by Miss Margaret Bridgewater. Port Reitz Special School, located in Changamwe, Mombasa County, is a public primary school that integrates a day school for non-challenged children from within the community with a boarding school for physically impaired children. This school follows the 844 primary school curriculum while providing physiotherapy and rehabilitation for those who are physically impaired. Treeside is a mixed boarding school that caters to learners who have learning disabilities and intellectual challenges. This institution moved to its present location at Kasarani in Nairobi County in 1991. Treeside admits learners aged between 7 and 42 years. Intellectually challenged learners who attend this institution benefit from teaching, training and rehabilitation services provided. Thika High School for the Blind was started by the Salvation Army in 1967 to cater for visually challenged children who had completed primary school. This institution became a public school in 1971, and since then, has aimed to use the most current and appropriate technology to impart knowledge, skills and aptitude to its visually challenged learners. Thika High School for the Blind is a mixed full boarding school located in Thika town, Kiambu County, and draws learners from primary schools for the blind from all over Kenya and neighboring countries. Jacaranda Special School is located in Kilimani, Nairobi County, and admits intellectually challenged children from all over the country. This institution is a government-funded facility that was started in 1946. It accepts students with Autism, Down’s Syndrome, Cerebral Palsy, etc. Joytown Primary and Secondary Schools for the physically challenged were originally started by the Salvation Army, and have since been converted into government schools. The Salvation Army, however, continues to play an active role in the area of spiritual nourishment. Joytown Primary School houses 300 children, while Joytown Secondary has around 200 students. Joytown Secondary School was started to meet the needs of the primary school leavers with physical challenges and has since become an inclusive institution. The Joytown Schools are located in Thika town, Kiambu County. Kenya Institute of Special Education provides excellent training in special needs education as well as educational materials and assistive devices for persons with disabilities. This institution provides assessments for autism, hearing impairments, visual impairments, learning difficulties, etc. KISE, located at Kasarani in Nairobi County, also has an inclusive preschool where children with special needs are integrated. The list above indicating the best special schools in Nairobi and Kenya should be of great help to you who is looking for a special school in Kenya. Take your time, though, and choose the school that suits your child the best.